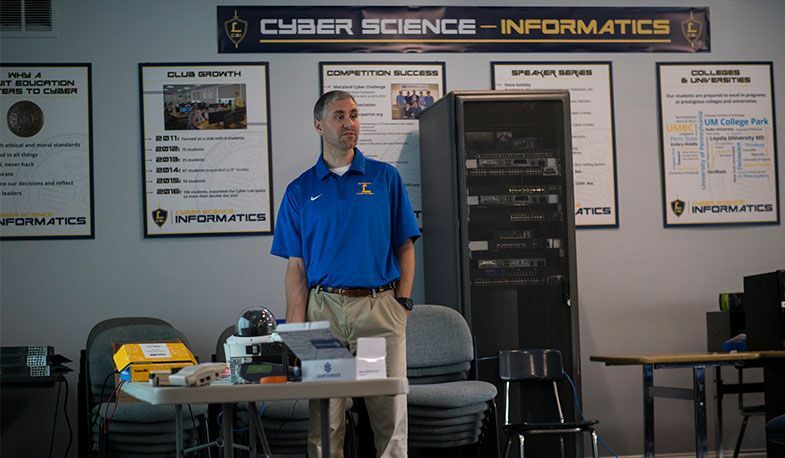 Mr. Steve Morrill, Director of Technology and Cyber Science at Loyola Blakefield, will be touring Australia during the coming weeks where he will be conducting professional learning workshops and presentations for educators on the development of Loyola’s cyber program. 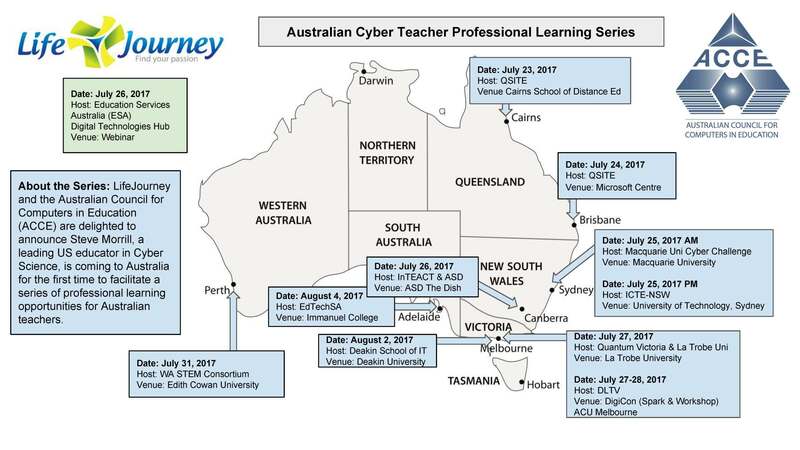 He was personally invited by program sponsors LifeJourney, the Australian Council for Computers in Education (ACCE), and Day of STEM. Part of his tour will also include nationally televised appearances. In addition to his presentations in Australia, several current and former Loyola students will participate in portions of his workshops via video conferencing. Morrill will be sharing insights with the Prime Minister, political leaders, and key members of the Australian technology and education industries. Recognized as the nation’s “First Cyber Teacher” in 2016, Morrill has since been on a whirlwind tour of government agencies and international conferences. Additionally, Morrill has served on several cyber education advisory boards to help solve the industry’s talent pipeline shortage. “This field will continue to grow, and Loyola is proud to be at the cutting edge of this global movement," said Morrill. View the official press release to learn more about this amazing opportunity, and see a detailed map below of where he will be stopping during his trip. To learn more about Loyola Blakefield's Cyber Science program, visit loyolablakefield.org/cyber. Steve Morrill earned his bachelor’s degree from Villa Julie College (now Stevenson University). He then launched his career there spending 11 years in their technology division, including serving as Manager of Network and Enterprise Systems. As Loyola’s Director of Technology, he oversees all aspects of technology including all software and hardware as well as all integration to the classrooms. He also leads Loyola’s Cyber Science initiative, recognized as a global among middle and high schools.